A lot is made of the fact that Rav Shagar consciously and vigorously embraces subjectivity within Judaism, even going so far as to champion the “postmodern” claim that, subjectively speaking, there is no objective truth. The problem with this is that “subjective” and “objective” are slippery words, used in a variety of different ways. If you consider how Westerners often use them, it doesn’t quite match the picture that emerges from Rav Shagar’s writings. Below, I want to demonstrate this with a careful reading of a passage from one of Rav Shagar’s Hanukkah sermons. For context, the essay deals with the Baal HaTanya’s embrace of an alienated observance of mitsvot in contrast to Rav Kook’s focus on authentically observing the mitsvot. The paragraph on which we will focus is Rav Shagar’s summation of Rav Kook’s position, which he sees as ideal, as opposed to the more realistic approach of the Baal HaTanya, which he explicates throughout the rest of the essay. To get started, I just want to go through and note the adjectives which Rav Shagar uses to discuss truth, reality, command, etc. They are indicated in bold. Rav Shagar’s use of the adjectives “inner,” “external,” “objective,” “unassailable,” “relative,” and “absolute” lays out a familiar dichotomy between “objective” and “subjective” (despite the fact that latter term does not appear). This dichotomy is represented by the table below (for reasons that will become clear, I have headed the columns with “Internal” and “External” rather than “Subjective” and “Objective”). On the one side we have that which is subjective-internal-relative, while on the other we have what is objective-external-absolute. This fits how we generally think of these categories. “Objective truth” refers to truths about the world outside ourselves, which are “absolute” in that they exceed the whims of any individual. These are what people often call “facts,” and they do not care about the individual’s whims, desires, or personal situation. “Subjective truth,” on the other hand, refers to truths about the individual and her inner world. These truths are specific to a given individual, often to the point where they could not be explained to another person, and they are generally seen as much less absolute, more whims than facts. (While I take “unassailable” to be essentially synonymous with “absolute,” I am less certain that “relative” should be understood as their antonym. I have therefore left them in separate rows, without clear opposites). While Rav Shagar is clearly using these same categories, he does not maintain the strict dichotomies we laid out above. In the first have of the paragraph the two columns are separate, but coinciding. “Ideally, an individual’s inner truth will match the objective truth.” Internal, subjective truth would correspond to external, objective truth, while still remaining distinct from it. Suddenly the individual’s inner life is seen as something that far exceeds them. Truths about the individual, are also “objective” and “absolute.” In this case, then the definition of “objective truth” offered above, “truths about the world outside ourselves, which are “absolute” in that they exceed the whims of any individual,” becomes untenable. Therefore, without being so bold as to try and redefine “objective” in a broad sense, I want to try and trace its contours as they emerge from this discussion. This should give us a sense of what Rav Shagar means when he uses the term. Given the above, I will begin by laying out new definitions of internal an external truth. External truth refers to truths about the world outside ourselves, which are “objective” “absolute” in that they exceed the whims of any individual. However, internal truth is not entirely dissimilar, referring as it does to truths that are relative to the individual, but which can be “objective” and “absolute” in that they exceed the whims of any individual. However, internal truths can also be “subjective” and “non-absolute,” as Rav Shagar notes in the immediately following paragraph. The fact is, our inner lives are highly fluid, rising and falling constantly, rarely if ever stable. They thus cannot always be a source of absolute, objective truth. Navigating this experience is one of the most common themes of Rav Shagar’s writings (his most thorough treatment of the topic is the entirety of the book Shuvi Nafshi, but particularly the chapter on Rav Tsadok Hakohen of Lublin; the best English treatment available is the chapter “Freedom and Holiness” in Faith Shattered and Restored). It’s worth noting that the idea of truth that is absolute but also appears only to the individual not only exists within Judaism, it is actually critical to any revealed religion. With the exception of some sort of public revelation, all prophecy is an absolute truth revealed within the prophet’s inner self. This truth is generally taken to be universal, rather than individual, but prophecy is certainly a step toward what Rav Shagar is talking about. Of course, not everyone agrees about the nature of prophecy. For Maimonides, prophecy is something more like perfect knowledge of the world and God, so the above description would not apply. For Rabbi Yehuda Halevi, however, prophecy is indeed a singular revelation. In his Kuzari, the king rejects philosophical religion because, while it is a universal, demonstrable truth, it does not fit with the singular revelation that he experienced. A second, more radical step can be found in the teachings of the Hasidic thinkers Rabbi Mordechai Yosef Leiner of Izbica and Rabbi Tsadok Hakohen Rabinowitz of Lublin. These thinkers see the human impulse as the site of divine revelation. There are steps necessary for ascertaining that any given impulse is in fact divine, but they are minimally open to the possibility of absolute, divine truth being totally individual and internal. Moreover, (and here the two disagree somewhat), Rav Mordechai Yosef, sees this divine revelation as inherently opposed to any sort of universalizable truth or principle. The moment of divine revelation within the human self is a moment when external, universal truth ceases to be relevant. Rav Shagar is not quite so radical as that, but he does share the understanding of singular revelation within the self (see the essay in Shuvi Nafshi referenced above). To put this all in the context of Rav Shagar’s broader writings and embrace of “subjective” truth within religion: Rav Shagar absolutely embraces “subjective” truth in sense it was described at the beginning of this essay, as internal truth. However, this is only insofar as this internal truth possesses a sense of absoluteness, and thus “objective,” as we have defined it here at the end of the essay. Rav Shagar wants us to be authentic, which requires having a strong sense of self and inner truth. It requires feeling like there’s some parts of our inner lives that exceed us, that we can and should simply accept as facts, as divine grace. In the absence of this divine grace, Rav Shagar wants us to grapple with out alienation, and with the possibility of creating ourselves anew (see my essay on accepting the yoke of heaven in Rav Shagar’s writings). As I have shown in my post on the materialist theory of the commandments in Rav Soloveitchik’s Halakhic Mind, materialist theories have two components, one primary and one secondary. The primary component is that the physical acts of the commandments are logically and causally independent of any reasons that might be given for them. The commandments aren’t meant for any purpose, no matter what purposes they might serve. Secondarily, and as a corollary to the first component, different people in different historical situations can quite validly give different explanations of the commandments. However, this second component does not have to follow from the first. This is why it appears in Rabbi David Silverstein’s approach but not in Rav Soloveitchik’s. In this post, I want to look at two short excerpts from Rav Shagar’s Hanukkah sermons, published in the book Leha’ir et Hapetahim. Neither of these excerpts comes from a formal, systematic discussion of the reasons for the commandments, something as of yet unpublished among Rav Shagar’s writings. However, each independently deals with one of the two components of a materials approach to the mitsvot, giving us a comprehensive materialist understanding when we read them together. The first piece comes from a great derashah entitled, “Screen for the Spirit, Garment for the Soul,” which explores the meaning of the commandments in the teachings of Rabbi Schneur Zalman of Liadi, the Baal Hatanya, based on the biblical images of the human soul as the candle of God, and the commandment as a candle that shines with the Torah’s light. Rav Shagar finds that, as opposed to other Hasidic thinkers such as the Izhbitzer Rebbe, the Baal Hatanya sets up an opposition between the candle of the person’s soul and the candle of the commandment. Mitsvot are therefore not about authenticity, and can even be a source of alienation. Moreover, Rav Shagar then moves into a discussion of the relative importance of will as compared to wisdom in understanding God and the commandments, based on the Baal Hatanya’s discussion of and departure from Maimonides. As opposed to Maimonides, for whom wisdom is the primary aspect we must understand about God and the underlying principle behind the commandments, the Baal Hatanya emphasizes the divine will, which precedes the divine wisdom. If we return to characterizing the commandments, the Baal Hatanya says that even the physicality of action precedes thought and spirituality. “The root of the commandments is incredibly lofty, for they are rooted in the aspect of the highest crown (Keter Elyon) […] which ultimately devolves down into physical action […] specifically there we find the divine will. The final act is first in thought.” By its very nature, the essence of the will of the infinite can’t be revealed in a garment, in sense, in the finite. It therefore does not appear as the inner light of reality, as meaning, as clarity, as the delight of holiness. Though these things cannot be defined, they are comprehended and contained in the categories (kelim) of existence, just as meaning is comprehended through sense. The essence of will appears only as light that surrounds reality, overlapping the opaque act by virtue of it lacking sense. This opaque act defies human existence which relies on reason, knowledge, comprehensibility, and meaning, wherein every effect has a cause and everything that happens is determined by a thought or experience. Rav Shagar describes the will, and the divine will specifically, as “performative” in the sense that philosopher J. L. Austin used the term, describing words that do things instead of describing them, creating or shaping reality rather than referring to or depicting reality. This creative will precedes any intellectual ideas, any words or meanings, which always explain a pre-existing reality. The Baal Hatanya roots the physical forms of the commandments in this pre-intellectual will, in the simple meaningless insistence that precedes conscious thought. These physical act therefore are not, and could not be, preceded by an idea or goal for which God commanded them. You can’t get “behind” the commanding of the specific acts, because there’s no “before” that precedes them. They are primordial. God didn’t command them because they make sense, and this as Rav Shagar continues there, you can’t choose to keep them because they make sense. It requires an act of passionate commitment (mesirut nefesh), a decision to take upon yourself the framework of the mitsvot, only after which can you find meaning in them. Our second excerpt comes from a derashah called “Candlelight: Genealogy of a Metaphor.” In this text, Rav Shagar traces the way different thinkers have understood the metaphor of candles and light within Judaism. Simultaneously, he traces the way the different thinkers have understood the metaphors to function; do they reveal the inherent connection between light and intellect, for example, or do they somehow create this connection? I want to depict another way to understand the metaphor of light and candle, one in which the meanings themselves of the different depictions happen in the present of “this time” (hazman hazeh). As opposed to Rav Kook and the Kabbalists, for whom metaphors reveal psychological and idealistic truth and meaning that already exist in reality, we could see metaphors as functioning as a chain of connections and contexts functioning in the psychoanalytic realm. This realm is the realm of the creation and construction of the unconscious which those contexts represent. The psychological connections are created at the moment of the interpretation of the dream, or in the associative games of therapy. Similarly, the creation of a metaphor (“candle-light = Torah-light”) is an illumination that creates a language in real time. We should therefore understand the metaphor as a work of art that uses language as its “vocabulary,” a use that creates the network of connections and the truth and meaning that it bears within it, rather than a gesture toward some truth that existed “there” in the past. Of course, in order to be present to this sort of creative process, we must, as Richard Rorty said, abandon metaphors of “revelation” and “discovery” of truth, which perpetuate the idea of truth and meaning as things of the past to which we must return, which we must signify, and which we must track into its present traces. Instead, we must discuss truth and meaning using metaphors of creation and construction. According to Rav Shagar, when a Jew fulfills a commandment, she and the commandment are not two separate things. In that moment, the person is a fulfiller and the mitsvah a fulfilled, neither of which can exist or be understood without the other. Not only does the commandment not have any pre-existing meaning, but it doesn’t make any sense to talk about the meaning of a commandment separate from the person fulfilling it. Meaning is always “meaning to,” the meaning a thing bears for a specific individual or group, rather than being inherent in the thing itself. This is true of the metaphors surrounding candlelight, and it is also true of the commandments. Moreover, like the metaphors about candlelight, commandments are always going to be understood differently by different people, with this new meaning or understanding emerging when individual and commandment become fulfiller and fulfilled. Combining these two excerpts gives the following picture: The commandments are inherently meaningless, originating as they do in the divine will that precedes any conscious, verbalizable thought or meaning. Their meaning emerges in the moment when an individual Jew fulfills them. This meaning is not the meaning of the mitsvah, but of the fulfillment of the commandment by this specific person in their specific historical situation. This reason cannot serve as the reason for the commandment, as it is always subjective, and is created after the commandment already exists. For the same reason, there is no need or possibility of saying that certain reasons are wrong while one reason is right. In my last post we saw that Rav Soloveitchik frames the commandments as objectifications of subjective religious experiences, with one such subjective experience being the correct one that we ought to reconstruct. In contrast, Rav Shagar sees the commandments as originating in the essential divine will, in a sense beginning as objects, which then generate subjective experiences as they are fulfilled by individuals. In my next, and likely last, post on this subject, I want to look at Brennan Breed’s theory of biblical reception history research, which inspired this whole project. As to the legitimacy of reading them together, a few technical notes are in order. First, I’m on the whole in favor of reading Rav Shagar’s corpus as a comprehensive whole, unless there’s good reason to take exception in a given instance. There are many such exceptions, but coherence is the rule that enables to understand both the whole and the exceptions. Second, the two excerpts were not only published in the same book, but they are from adjacent sermons within that book (“Masakh Lanefesh Levush Laneshamah” and “Or Haner: Gilgulah Shel Metaforah”). Reading them together is almost unavoidable given that publishing choice. Third, a good starting point for questions like this is when the material was originally written. Differences in Rav Shagar’s writings can often be traced to the difference between pieces written in the 1980’s-90’s and pieces written in the 2000’s, though that’s not a firm rule. This lens can be applied with the help of the editorial notes that appear in most of the more recent volumes of Rav Shagar’s writings noting the dates of original material used in composing the texts. In our case, “Or Vener” is from 2007, near the very end of Rav Shagar’s life. “Masakh Lanefesh Levush Laneshamah” is more complicated. According to the editor, the sermon is based on transcripts of oral teachings stretching from 1986 until 2004, as well as two written texts from 2004 and 2006. It is therefore difficult to know how to decipher that sermon for era indicators, but the predominance of material from the 2000’s (“Shenot HaSamekh” as I have heard his students say), when he was more involved in “postmodern” and psychoanalytic materials. This bears out in both of the sermons, which have distinct psychoanalytic underpinnings, as we shall see. Rabbi David Silverstein’s “Jewish Law as a Journey” is a masterful contemporary rendition of the traditional genre of taamei hamitsvot literature, books that give reasons for the commandments. Each chapter is dedicated to a different commandment or halakhah, stretching from saying modeh ani upon waking to saying shema before bedtime, and even touching on interpersonal mitsvot, loving God, and more in between. 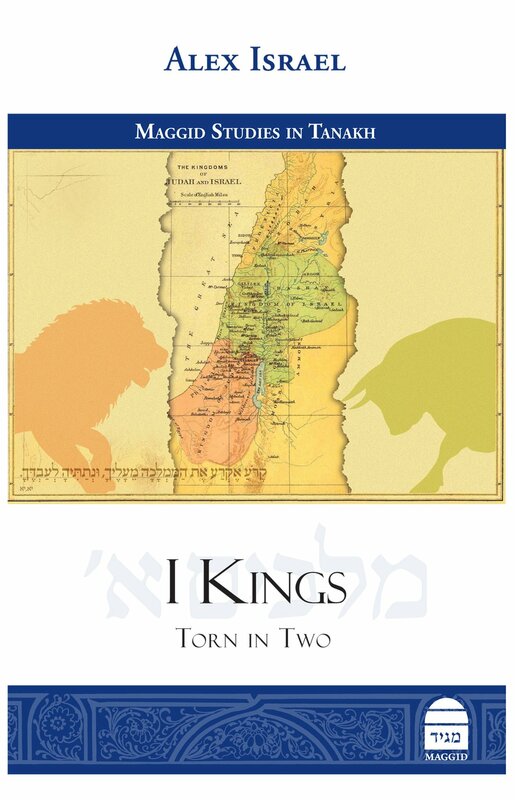 It also sports a helpful introduction that gives the reader background on taamei hamitsvot throughout Jewish history. The introduction focuses on the question of whether or not Jews should speculate about the reasons for the commandments. The topic has been hotly debated throughout Jewish history. On the one hand, God’s commands are presumably rooted in the infinite divine wisdom. They should therefore “represent the physical actualization of a divine set of values and ideal” (p. xxiv), rather than simply being commands that a person must obey. On the other hand, emphasizing the reason for a command can come at the expense of obedience to the command itself. If keeping kosher is about eating healthy (the opinion of the Sefer HaHinukh, quoted in chapter 19), then shouldn’t eating healthy take precedence over keeping kosher? If the two were to contradict, shouldn’t we side with healthy eating over its handmaiden, kashrut? Silverstein indicates that despite the critical importance of the “spiritual messages” of the mitsvot, we cannot give the reasons for the commandments priority over the commandments themselves. In addition to preserving obedience to the commandments, this has the added value of keeping a person humble. Just because I do not know the value of a commandment, that does not mean there is no value. Trying to understand the commandments is therefore an important, if not always achievable, goal. Silverstein’s approach to the commandments is what I have elsewhere called a “materialist” model of the commandments. Though he says the commandments are intended to convey spiritual messages, he ultimately gives priority to the physical acts of the commandments, their material presence in the world and history, over the ideas attached to them. This manifests in the call for obedience in the face of incomprehensible mitsvot. If you have to obey the commandments regardless of the reason, then clearly the actions take priority over the ideas. The materialist model also shows up in the number of reasons Silverstein gives for each commandment. Classically, books of taamei hamitsvot give one reason for each commandment. They attempt to determine what goal God wanted to achieve by commanding each action, what specific idea or value God wanted to convey. In contrast, “Jewish Law as a Journey” doesn’t talk about what the purpose of each commandment is, or what God’s intent was in commanding it. Instead, Silverstein goes through the historical journey of each mitsvah, looking at what it has meant in different texts throughout history. He starts with Tanakh and the rabbis, for laws that go back that far, and continues all the way to rabbis so contemporary that their ideas are referenced from webpages rather than books. In a materialist model, the reasons for the commandments are not what God meant by them, but what they have meant to Jews throughout history. One of the advantages of a materialist model of the commandments is the way it lets us look back at the history of reasons for the commandments. With a model like this, we do not need to say that everyone who disagreed with our understanding of a commandment was wrong, nor do we have to pretend that no one ever disagreed. We can recognize the full diversity of the Jewish tradition when it comes to taamei hamitsvot. Silverstein can therefore quote a variety of interpretation by thinkers who may have been consciously disagreeing with each other, as he explores the various things a commandment means. It does raise the question of what God’s intent actually was for each commandment, but this can be solved in a variety of ways, such as suggesting that God wanted each Jew to understand each mitsvah in a way that made sense to her in her historical situation, or that God omnipotently foresaw all the meanings that Jews would attribute to the commandments. 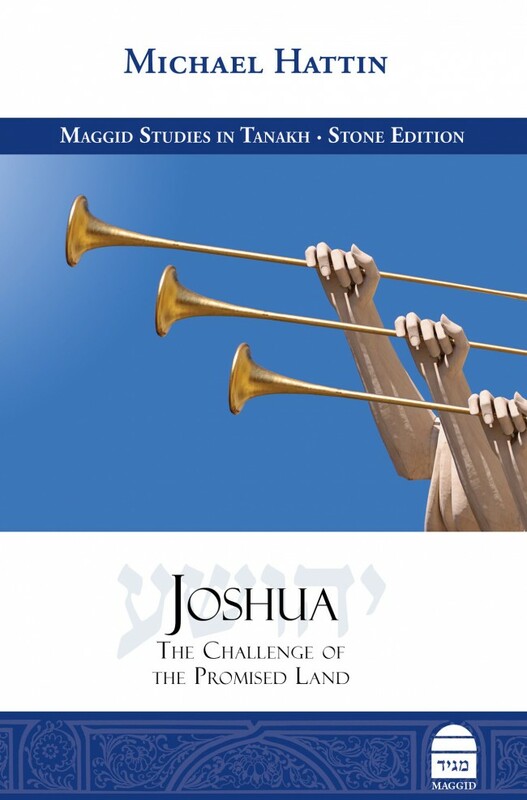 “Jewish Law as a Journey” therefore provides the reader with short collections of ideas that have been attached to each commandment, helpfully summarized in the book’s conclusion in the form of short meditations. However, it also asks the reader an implicit question: If these ideas are what the commandment has meant throughout its historical journey, then what does it mean today?